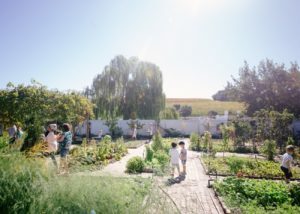 Bosjes is situated between Worcester and Ceres on the R43, more or less a 90-minute drive from Cape Town or Stellenbosch. My parents stay in Worcester and we were joining them for a Sunday family lunch with our children at Bosjes’ restaurant. Luckily, the restaurant at Bosjes is separate from the wedding chapel and its outdoor reception area as featured on TV. 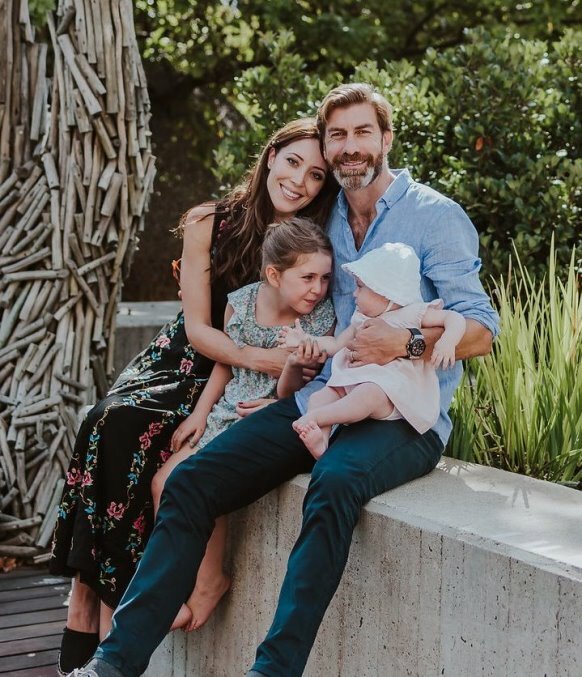 <Insert sigh of relief here!> That beautiful pond would just be too enticing for my kids… I certainly would not be able to have a meal in peace. From the exquisite images of the wedding chapel that the previously mentioned TV shows had left imprinted on my brain I could only guess that a meal at the Bosjes restaurant would probably be a grand and gourmet affair. I was somewhat apprehensive of how I would keep my three children busy during the family meal. Well, now that we have been there, I am pleased to report that the restaurant has a dream playground that should keep most kids happy. The food was every bit as gourmet as I had imagined it would be, but delicious at the same time. It was a great bonus that we were able to order chicken strips and wedges, as well as small milkshakes, for our children on the day. As I was editing the photographs I had taken of the day I was finding it impossible to tone down how blue everything looks. The mountains, the sky, the restaurant… The blue backdrop is impossible to tone down and with a good reason, because this is really what it looks like! The blue of the skies and the mountains on the horizon (the closer mountain hills at least are brown) are repeated in the blue and white accents of the playground. 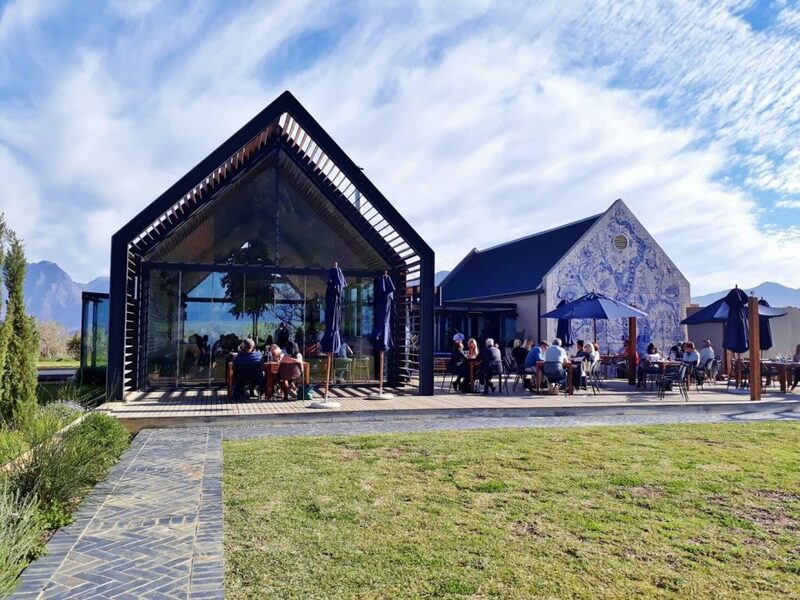 The restaurant’s outside feature wall with its blue and white mosaic-like painting not only tells the story of the farm, its people, fauna and flora, but once again it echoes the blue colours in the surrounding nature. The little girl trying to do a hand stand to the right on the photo is mine! The “cream floor” of the playground that she is standing on is actually made of rubber – similar to a tar-tar athletic track and feels soft and squishy to walk on. Below is the view from the playground looking towards the restaurant. The play area was to my left (you can see one corner of it) and I was standing about halfway down the length of the playground when I was taking this photo. Ideally one would sit at a table on the stoep to keep an eye on the kids. If it is a very hot/ cold day ask for the table where we were seated – the first table inside the restaurant just behind those glass walls. (From the restaurant’s entrance it is the table on your right hand side closest to the glass wall). In the photo you can also spot the pathway leading up to the entrance of the restaurant behind the trees. The “glass compartment” that can be seen to the left of the building is the entrance/ foyer to the restaurant. The jungle gym is netted so when children climb up it they are basically walking on nets which are quite safe. That slide in the front of the photo is as fast as it looks! There is a lower (and slower) slide sticking out just behind the big one in the front of the photo. On the right there is a “net swing” that the toddlers seemed to enjoy. 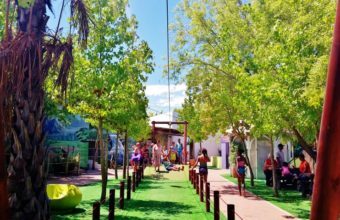 Also, running down the length of the play area and seen in the back of the photo behind the jungle gym is a large sand pit with buckets and spades for smaller kids. 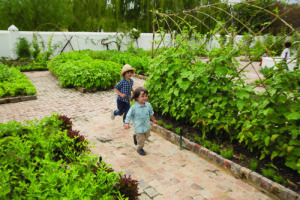 Another activity on the estate for the whole family is to take a leisurely walk through the Bosjes gardens next to the wedding chapel to walk off any extra energy the kids may have left after the meal. 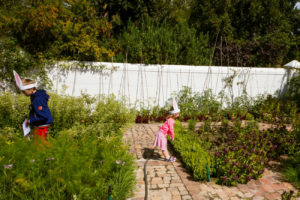 The garden is, however, next to that pretty pond in front of the wedding chapel so I personally would not let younger children go on their own. 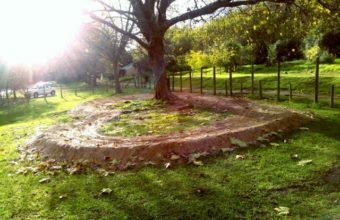 FYI: The tea garden next to the chapel and the Bosjes gardens are also open from Wednesdays to Sundays between 10:00 and 16:00. The restaurant as described in this article is called Bosjes Kombuis and is open for lunch from Wednesdays to Sundays. Restaurant is on ground level, i.e. accessible for a stroller. We were pushing a stroller on the day of our visit.  The Stellenbosch Mom is an online publication for families. 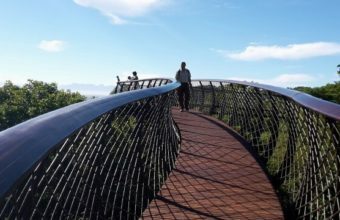 We publish articles on what’s hot and trending in child-friendly places and activities in the Cape Winelands and beyond.